I'm used to having my chocolate cereals with a big vampire or cuckoo bird on the front of the box, not declarations of "8 grams of whole grains" and "good source of fiber." Chocolate cereals need to have a certain sense of fun. Was I ready to trade the whimsy of Count Chocula or Sonny the Cocoa Puffs Cuckoo for a few extra grams of dietary fiber? The bottom line is that this cereal tastes good. The flavor is very reminiscent of Cocoa Pebbles, Cocoa Krispies and similar kids cereals. Chocolate O's stay relatively crisp in milk for several minutes. Those hoping for a little chocolate milk at the bottom of the bowl won't be disappointed. The residual chocolate milk actually taste more like authentic chocolate than the cereal itself. This cereal is only marginally healthier than the leading chocolate kids cereals (most of which have added more whole grains in recent years). 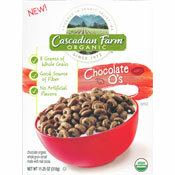 It has 3 grams of dietary fiber, compared to Count Chocula's 1 gram and Cocoa Puffs' 2 grams. Chocolate O's have 8 grams of sugar which is two grams less than Cocoa Puffs and 4 grams less than Count Chocula. The only thing I would change about this cereal is it's packaging. 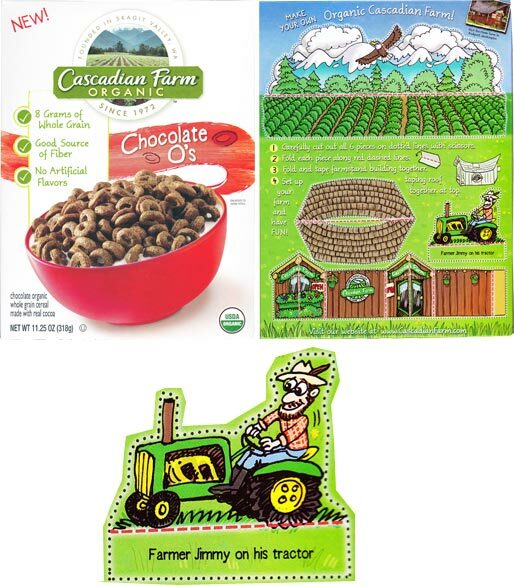 The back of the box has a "Make Your Own Organic Cascadian Farm" cut-out activity for kids. (Cocoa Pebbles did the same thing in the 80s with a cut-out Pound Puppies School Bus.) 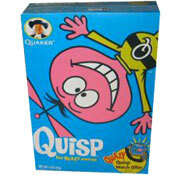 Why not have the front of the box appeal to kids too? One of the cut-outs on the back is "Farmer Jimmy on his Tractor". I say put Farmer Jimmy on the front. He might not be the next Count Chocula, but he might persuade a couple little kids to start their day with less sugar. What do you think of Chocolate O's? Tastes good in milk but I don't enjoy eating it dry as much as I do some other chocolate cereals. I really hope I can find these near me, as I LOVE this company's products but had not yet heard of this one. I have to say that these are so amazing. I usually eat a bowl in the morning and a bowl at night... that's how good I think they really are. They are so yummy and if they ever stop making these I will be so upset.